You can't start a business without a good idea. Your idea needs to build a real-world solution to a real-world problem, preferably in a sizable market. And, in all cases, do what you love, as it is important you have a passion about your startup, to get through the good times and the bad. Oftentimes, an startup with 1-5 salespeople may have 10-50 employees, which means that your salesteam only represents around 10% of your entire staff. 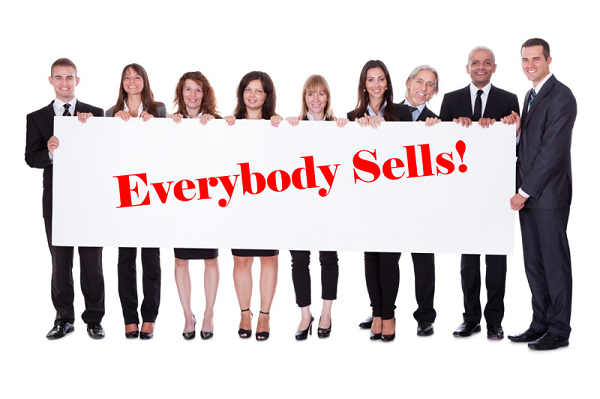 Wouldn't it be better to come up with an "everyone sells" mentality within your company, to get 100% of your staff helping you with your sales and marketing efforts? And, in the process, get 90% more people helping you drive revenues!! I am not suggesting that the other 90% need to drop everything they are doing, and not focus on their core role. What I am saying is: all 100% of your staff have friends, families, colleagues from former employers, school mates, and other connections that are often very accessible by the employee's social media followings on Facebook, Twitter, LinkedIn or elsewhere. So, help educate your entire staff on your products and services, and give them the tools and messaging they will need to help spread the word with their connections. In case you want to nominate any key individuals in Chicago, New York or Los Angeles for the 2014 Techweek 100 lists in each of those cities, nominations are now officially open. If you feel Red Rocket, or our blog, has helped your business in any way this year, we would appreciate your nominating one of our partners for the Chicago list. For future posts, please follow us at: www.twitter.com/RedRocketVC. The age-old question of whether or not good entrepreneurs are born that way, or if such entrepreneurial skill sets can be learned continues to be a debated topic. Is it fair to say some people are just not born to be leaders? Or can you really build yourself a great founder? Let’s try tackling the answer to this question by defining which skill sets make for a good entrepreneur, and whether or not they can be taught. Read the rest of this post on The Next Web, which I guest authored this week. Do you have revenues of $5-$10MM and profits under $3MM a year? Are you a company looking to raise outside capital for the first time? If you answered yes to both of the preceeding questions, you are about to enter what I call "The Death Zone" for venture capital. And, as the name suggests, "The Death Zone", much like its namesake in oxygen-starved environments north of 26,000 feet in elevation, can make for a suffocating experience when trying to raise capital. The other day, my colleagues at Ensemble, the digital services alliance, were doing our planning for next year. We were discussing the key trends we were each seeing in the market, for our various digital skillsets. I figured it would be useful to share those key trends with all of you, to help you with your business or marketing planning for the year. Red Rocket gets introduced to a couple hundred startups each year, in the normal course of doing business, or via our involvement with FireStarter Fund, TechStars, Techweek, VentureShot, Founder Institute or other startup groups or events. We wanted to honor the best of these startups that we met, or got reacquainted with, in 2013, in Red Rocket's 2nd annual "Best Startups of the Year". This list is not intended to be an all-encompassing best startups list, as there are many additional great startups that we are not personally exposed to each year. And, this list is not intended to be only for businesses that launched in 2013, it is open to startups of any age, that they or their advisors had some personal interaction with us in the last 12 months. The business simply needed to have a good idea, good team or good traction, that caught our attention. Congrats to you all!! 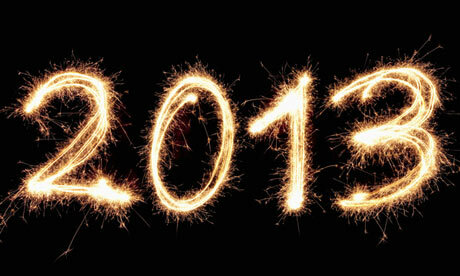 And, don't forget to check out last year's winners, many of whom continue to be doing great things. Last night was NBC's live production of "The Sound of Music", one of my favorite musicals. I thought there were a couple interesting business lessons worth sharing. 1. When there is already a "Rolls Royce" quality product out there with the same name (e.g., the beloved film starring Julie Andrews), make sure you don't set yourself up to fail, before you even start. The Twittersphere was more focused on comparing the live production to the film, that they completely lost focus that this version was based on the original Broadway show, not the film, and how hard it was to pull off a high quality live production (which this was). 2. When you aggressively market your new product for weeks leading up to launch, including a brand-name star like Carrie Underwood, you better make sure you deliver in the execution, as the expectations will be really high. The reality last night was Carrie is a great singer and did the songs justice. But, she is not a trained actress, especially compared to the well-trained other cast members, and her acting, when not singing, fell short for many. This hurt the social buzz, right from the start. 3. Kudos to Walmart, for tying their advertising directly in the theme of the show, including a "few of their favorite things" themed ad spots, including a music track from the show. 4. Kudos to DiGiorno Pizza. I was following the Twitter chatter for most of the night, assessing fan reaction. And, about half way through the show, I started to see repeated posts from DiGiorno which basically piggy-backed on the #TheSoundOfMusicLive hashtag which was trending all night. They used funny Sound of Music related tweets, like "You are 16, going on 17, and I assume you'd like a pizza for your birthday". Want to get your brand out there? Hijack a top trending hashtag for your own needs, in a smart and relevant way. 5. And, of course, Twitter, tightened its stronghold on controlling the social conversations around live television, with the Twittersphere on fire last night. I bet Julie Andrews never thought she would be trending all night!! But, for all the wrong reasons for Carrie Underwood. I really enjoyed the show, and appreciated it for what it was: good family TV watching. Kudos to NBC for taking the risk with creative programming. Kudos to the cast, for a job well done. For future posts, please follow me at: www.twitter.com/georgedeeb. If you enjoyed this post, please click the social sharing buttons, to share with your social networks. Most entrepreneurs simply approach venture capitalists asking for money “hat in hand”, without educating the investor on how the investor will acheive their desired 10x return on their investment, which is what most startup investors need to see from your startup in order to break through the clutter of 1,000 other startups that approach them every year. Below will help you learn how to build that bridge to a 10x return for your target investors, and hopefully, will increase your odds of being funded.